What paperwork do you require if the Trustee cannot be located? U.S. District Court requires the original or a certified copy of the Short Form Deed of Trust, and a letter requesting a Substitution of Trustee and Full Reconveyance. Why do I have to go to the Registrar-Recorder’s Office? It is necessary to follow each step stated in the instructions provided to the property owner. In order to assure that the lien is released on the property, it is necessary to have the Full Reconveyance obtained from the Trustee, and the Full Reconveyance sent to the property owner by the U.S. District Court, recorded at the appropriate Registrar-Recorder’s Office. What steps am I required to take after receiving the deed of trust from the Clerk’s Office? The property owner is required to obtain a Full Reconveyance from the Trustee. Once that has been done, the property owner is required to take the Full Reconveyance from the Trustee, and the Full Reconveyance from the U.S. District Court, to the appropriate Registrar-Recorder’s office and have both recorded in order for the lien to be removed from the property. How long does it take to process a deed of trust? 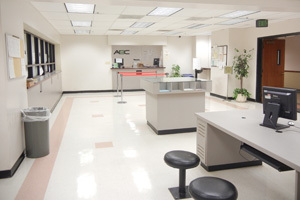 Where are the County Registrar-Recorder offices located? What is the phone number? *To record the reconveyed deed, the property owner must go to the office of the Registrar-Recorder in which the property is located. For example, if the property is located in Los Angeles County, the reconveyed deed must be taken to the Los Angeles County Recorder’s Office. Can a second reconveyance be done to release a lien on a real estate property? Yes. The U.S. District Court requires a certified copy of the deed of trust from the appropriate Registrar-Recorder’s Office. Can anyone other than the property owner pick up the reconveyance documents? Yes. ONLY: If the property owner provides the U.S. District Court with a notarized letter stating specifically the name of the person that is authorized to pick up the reconveyance documents on their behalf, and that individual must present a valid California Driver’s License, California DMV Identification Card, or Passport. Can you mail my reconveyance documents to a different address than the address on the deed? Yes. ONLY: If all property owners provide the U.S. District Court with a notarized letter(s) stating specifically the new address to which the reconveyance documents should be mailed. In order to pick up my reconveyance documents in person, what are your requirements? Do any special arrangements need to be made? 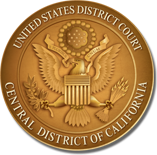 U.S. District Court requires that you present a valid California Driver’s License, California DMV Identification Card, or Passport. The property owner should contact the Administrative Office, at 213-894-8248, to assure that the deed of trust has been prepared. 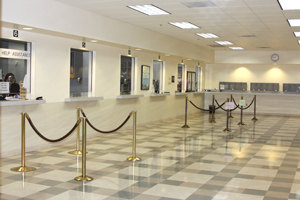 Is there a fee to release a real estate property that was used for a bail bond? Real property was posted for bond. When will it be released? The property cannot be released until the appropriate Judge has issued an Order releasing the lien on the property. What documents do you require to release a lien on a property? U.S. District Court requires an original or certified copy of the Short Form Deed of Trust, and an Order from the appropriate Judge. What if I have moved from the property address shown as my address on the deed? If you have moved within the twelve (12) month period preceding the exoneration of the bond, and submitted a change of address form to the United States Postal Service (USPS), the District Court’s Address Verification Letter will be forwarded to you. 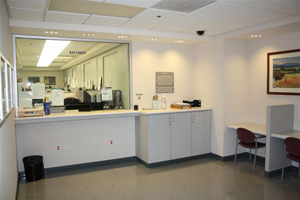 If you moved more than twelve (12) months prior to the order exonerating the bond, it is your responsibility to keep the Clerk’s Office informed of your current address. You should notify the Clerk’s Office, in writing, of your name, current address, the case number, and the lead defendant name in the matter for which you posted your property. Who is the trustee? How do I find the Trustee?